Our current Art Nouveau building was built in 1906-08 based on designs from Ödon Lechner. It was completely renovated in 2008-10. 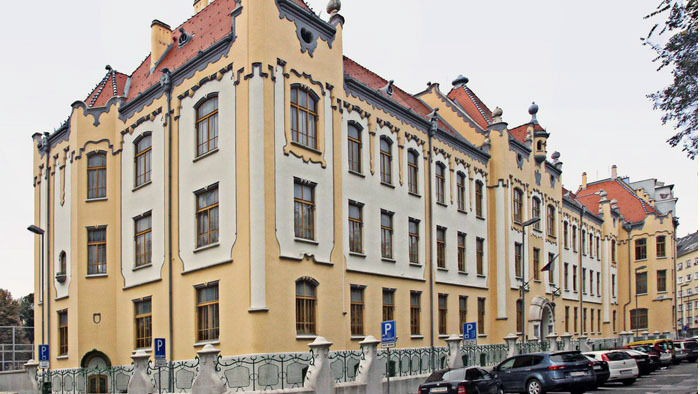 Our current building is located in the Bratislava downtown on the Grösslingová ulica (street) 18. The area used to be an island within the Danube river, thus the name of the street derives from the fish Gobio gobio (latin name), which is called Kressling in German (Bratislava used to be trilingual for centuries: Slovak, German and Hungarian). Among our neighbors are/were: Red Cross, Unicef, UNDP, Slovak Film Institute, Lúčnica and others. 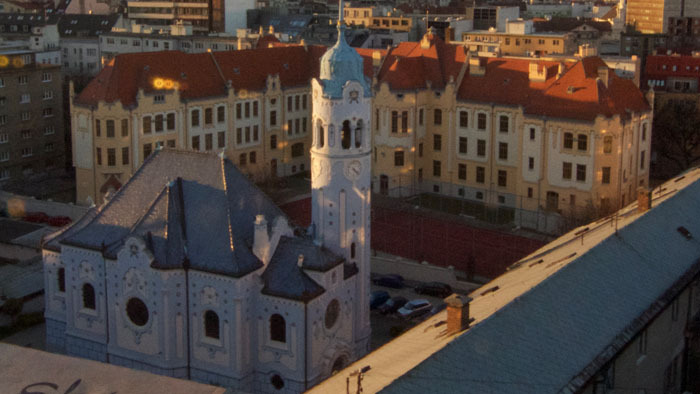 The Church of St. Elisabeth (better known as “Blue Church”) is located behind our current building. It was built as our school chapel in 1909-1913, but nowadays has no direct relationship to Gamča. 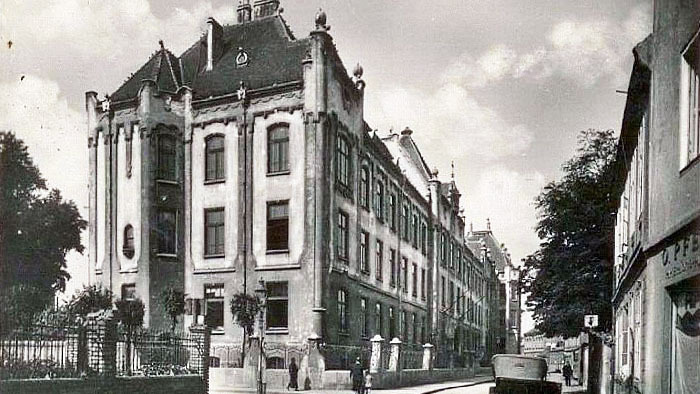 Our former buildings can be still found today in other parts of the downtown: Kapitulská ulica 26 (next to the St. Martin’s Cathedral; 1633 – 1714), Kostolná ulica 1 (between the jesuit Holy Saviour Church and the Bratislava Town Hall; 1714 – 1786) and Klariská ulica 5 (next to the Clarissine Church, 1786 – 1908). Tourists are not allowed to enter the building due to security reasons. Thank you for your understanding!